Down two goals and mired in a losing streak, the Vegas Golden Knights didn't fold. Instead, they rallied to beat the NHL-leading Tampa Bay Lightning. Alex Tuch scored the only goal in a shootout and the Golden Knights halted a four-game skid with a 3-2 victory Tuesday night. Vegas got goals from Cody Eakin and Valentin Zykov in regulation. Marc-Andre Fleury stopped 24 shots. 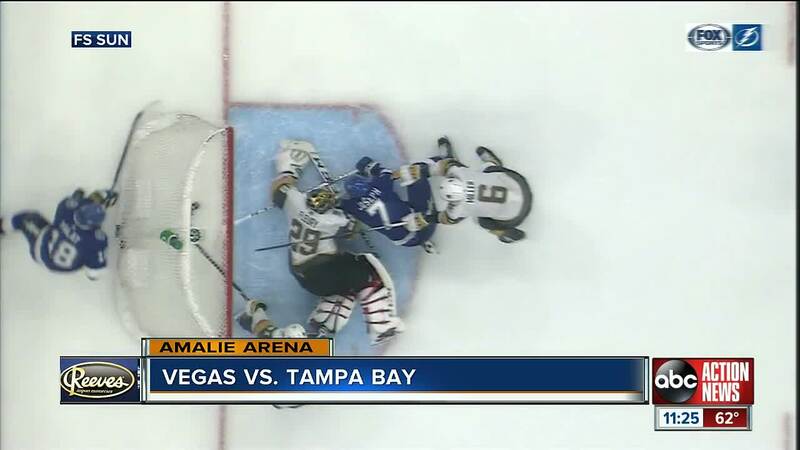 TAMPA, Fla. (AP) -- Down two goals and mired in a losing streak, the Vegas Golden Knights didn't fold.